The more a woman learns about breastfeeding and what to expect during the first few weeks after her baby’s birth, the more likely she is to be successful. 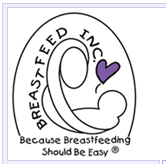 There are many sources of breastfeeding information, each with its own philosophy and approach. By using several sources, a woman will have a better idea of what situations are normal and how she can make choices that are right for her. It is also helpful to spend some time around mothers and babies to become more familiar with normal baby behavior. 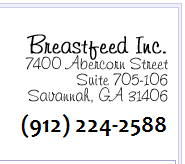 Attending breastfeeding support group meetings such as La Leche League or Nursing Mothers Council can help by answering questions and sharing the experiences of others. Fathers, grandparents and other children should be included in learning about breastfeeding. When the family is knowledgeable and supportive, the breastfeeding experience will be more rewarding. A father who has read about breastfeeding can help a mother when she is upset or tired and her problem seems overwhelming. If a family has any concerns or problems, before or after birth, they can discuss them with a knowledgeable breastfeeding counselor. She can answer questions about any special situations such as breastfeeding and working or breastfeeding babies with special needs.